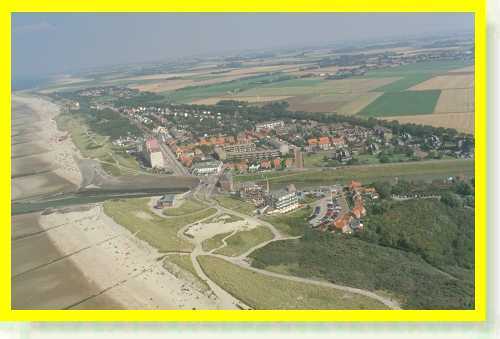 "Cadzand is a small village in Zeeland just over the Belgian border. The Protestant Church was established there in 1685. England was already a haven. It was well known that many were finding a refuge there, moreover England was so near, the white cliffs were visible and business relations had existed for a long while. However Calais was always a borderland and many of its folk were Flemings and Flanders is of very close kin to Holland. Up to 1641 there had been a church in Marcq which had been in close communion with the Dutch Presbytery at Walcheren. Destroyed in 1641 by the Spaniards, the congregation was absorbed by Calais but communion continued with Holland. Many of those decided on flight chose rather to go to a land which, while as friendly as England, would not be so strange to them either in race or language. Nor would the going be so long, some 90 miles. There was mention of Dover being the daughter church of Calais along with Cadzand following the closure of Calais and of there being a dispute over ownership of communion cups and linen between Cadzand and Dover. Used by the THEVELIN and DOSSELART families. Association with LE SAGE, MORILLON, LASELLE and DOSSELART families.